Being a naturist makes me feel closer to the Nature that I am part of. I love being exposed to the air and the sun. But Denmark is not a warm country, so it is clothes off / clothes on all summer. 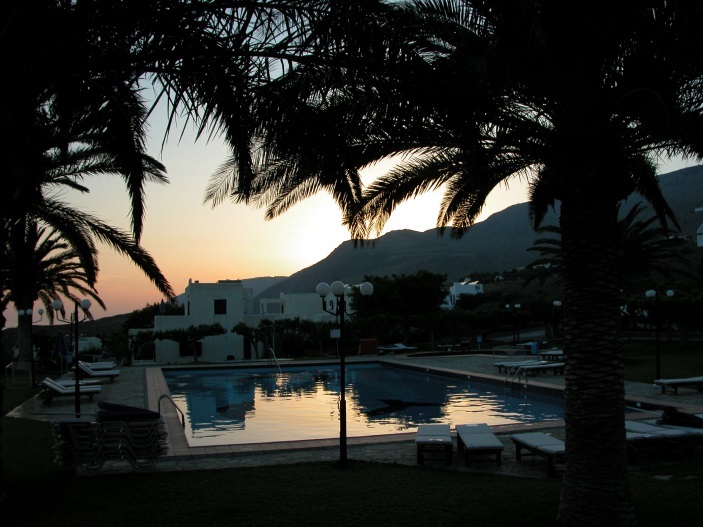 When I first came to Vritomartis 9 years ago, it was a completely new experience for me. To be able to walk naked in the sun, enjoying the garden, just feeling completely relaxed – it was wonderful. I loved all the different activities too; archery, chess, tennis, exercise in the pool, or just relaxing and soaking up the sunshine. 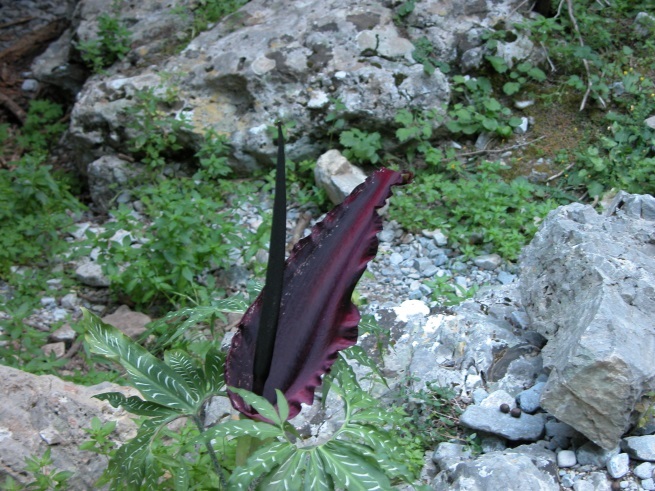 I really fell for the rugged nature in Sfakia. 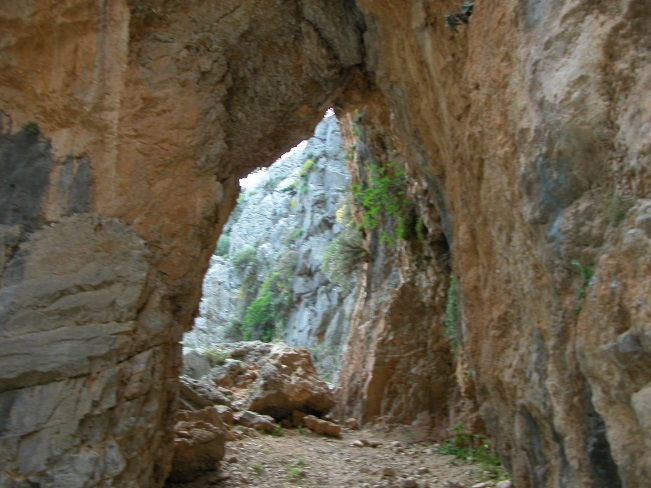 The Imbros Gorge is a wonderful walk. I saw flowers I had never seen before. 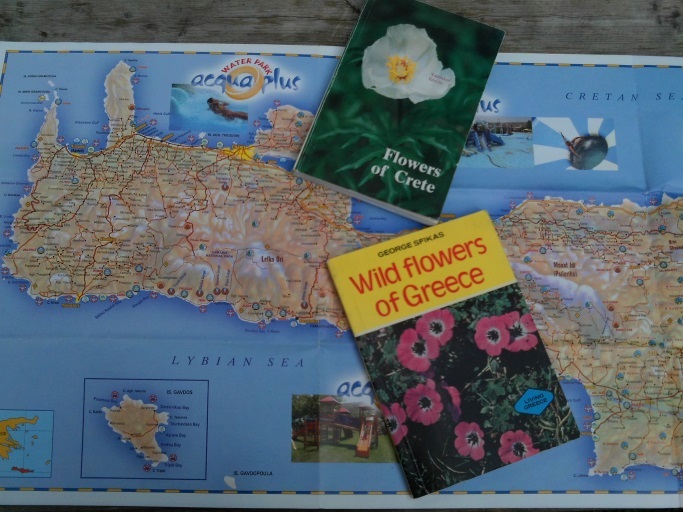 I had to buy a book on the flowers of Crete in Maxine’s bookshop, and I took it with me on all my walks and saw so many lovely flowers. 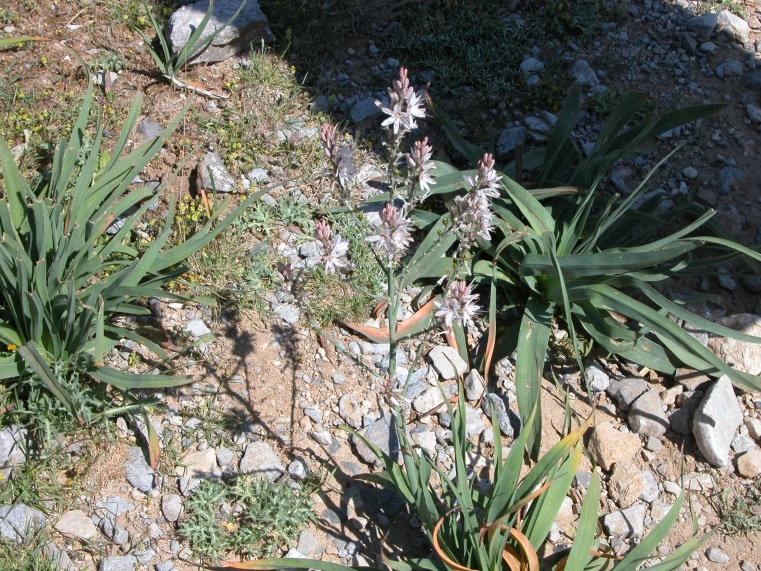 When I was up in Askifou there were some flowers I didn’t know. I asked a lady what they were, and she told me they were Asfódelos, and that they grow only in two places: Crete and The Elysian Fields. That makes sense, for to me Crete is as close to Paradise as I will ever get. When you stay at an ordinary tourist hotel, you don’t necessarily have a lot of contact with the other guests. But it is as if, when everyone is naked, then everyone is the same, and it feels more natural to talk to each other. More honest, in a way. Basically we all look the same when we are naked. In Denmark the law says that you can swim and sun bathe naked everywhere as long as it doesn’t offend anyone. This means that we usually choose the small, secluded beaches or the part of the larger beaches where there is nobody else. At Filaki Beach it was a whole new experience to be around so many other naturists. It was so nice and easy going. A real holiday. 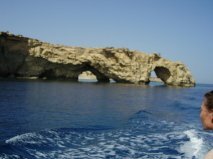 One of the absolute highlights the first time I was at Vritomartis was the boat trip to Gavdos. That was simply wonderful. A boat full of happy people. As soon as we were out of the harbor in Sfakia we all put our clothes away and enjoyed the perfect, sunny day and the cooling wind. The landscape on Gavdos was fantastic, and the whole atmosphere was so peaceful. I loved the sign on the beach: “Take nothing but the memories, leave nothing but your footsteps”. It was beautiful to see how respectfully people treated the nature. 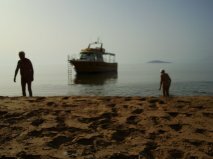 We sailed all the way around the island, and in the end we anchored in a lovely, sandy bay where the bathing was absolutely perfect. I loved every minute of that trip. Six years later when I came back to Vritomartis with my fiancée, I had hoped so much that we could go to Gavdos, but unfortunately there wasn’t a trip arranged while we were there. This year we are coming back, and this time I am really hoping that it will be possible to go to Gavdos. Last time we were at Vritomartis we had some really nice walks and found beautiful, peaceful spots. Sometimes we would walk down to Sfakia for lunch (Nikos’ Restaurant still had the best olives I have ever had), or we would have coffee and Despoina’s lovely cakes at her café. The shops in Sfakia had everything we needed, and we felt welcome wherever we went. We took some longer trips, too. We drove up to Knossos through a lovely landscape one day, and Knossos was so fascinating. We learned quite a bit about ancient Knossos. Heraklion was too big and too noisy for us, though, so we hurried back south again, and it felt so good to come back to Vritomartis and get naked again. We also drove up to Anopolis and Agia Katerina where we were lucky enough to see an eagle. I love going up there and look down on Loutro and enjoy the landscape around Anopolis. This small town has a fantastic history going back to the time of the Roman Empire. We continued up to Aradaina Bridge where the landscape will absolutely take your breath away. We have seen so many beautiful places and met so many nice people. 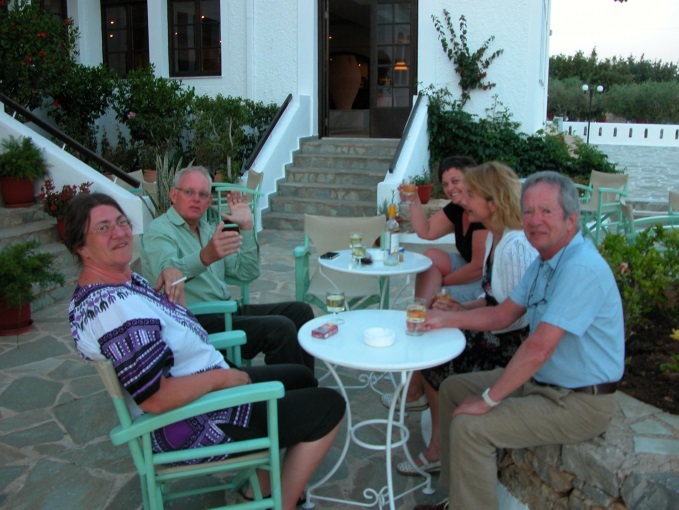 It is difficult to say what our best naturist experience has been. So my conclusion must be: The best naturist experience was staying at Vritomartis – and in just 12 days we are coming back again. 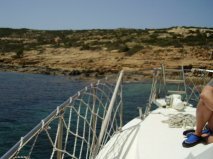 This entry was posted in Competitions, Naturism in Crete and tagged Filaki Beach, Imbros Gorge, Naturist Boat Trip, Naturist Experience, Naturist Holidays, Naturist Hotel, Share Your Cretan Naturist Experience, Vritomartis, Vritomartis Contests by Vritomartis. Bookmark the permalink. i like this experiment, but Am a single man and I dont know If I can share your program ? and how ? please advice me about this point , and what the coast for one week staying at your hotel. Dear Sameer, we are really happy you are interest at staying at Vritomartis. All singles are welcome. Please contact our reservations department at info@vritomartis.gr for availability and costs.